arrayed me in His robe of righteousness . . . In the Bible, Romans 8:1 tells us, There is no condemnation for those who are in Christ Jesus. We know this truth fundamentally but sometimes not so much in experience. None of us are free from having been criticized at some point in our lives, and many of us have lived with those who pointed out our weaknesses with gusto! Somehow we think this is God’s job too – to shine a search light back and forth, looking for sin! But really His light shines to show us how perfectly Jesus’ work on the cross has removed our sin! When we look at Him, the light reveals HIS love for us – HIS obedience – HIS worthiness – HIS righteousness! When we look at Him, we find there is no condemnation put on us. We are free! This is the secret of Amazing Grace! In Luke, chapter fifteen, the Prodigal son walked away from his sinful life-style and started toward home. He rehearsed the speech he would say to his father: I have sinned . . . I am no longer worthy to be called your son; make me like one of your hired servants (Luke 15:17,18). The father made no reply to his son’s words, but rejoiced over him! He put a ring of son-ship on his finger – sandals on his feet – and a beautiful robe around him! 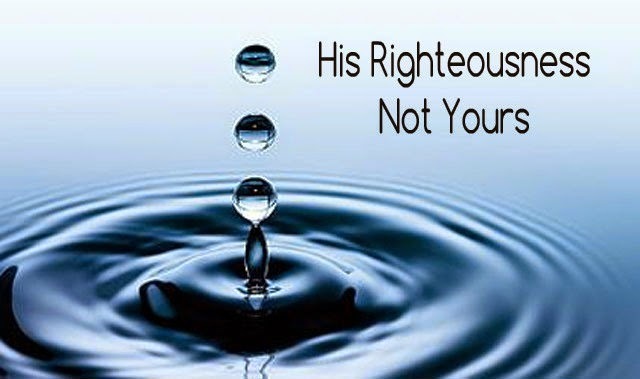 His father’s righteousness was put on him! This is how God sees me . . . For He has clothed me with garments of salvation and arrayed me in His robe of Righteousness . . . (Isaiah 61:10). Father, Your truth sets me free! I am empowered every time I receive the truth of “no condemnation,” and come to Your Amazing Grace, again and again!